Let me start out this review by saying, I have been anti mushrooms for nearly my entire life. Last year I obtained my herbalist certification in which I was able to explore herbs, plants, my body and live in general on a whole new level but it wasn’t until I got to this level that I opened my heart and mind to the wonderful world of mushrooms. Now that I am exploring the mushroom world I am fascinated by what I am learning. The more I try, the more I realize I really enjoy them. 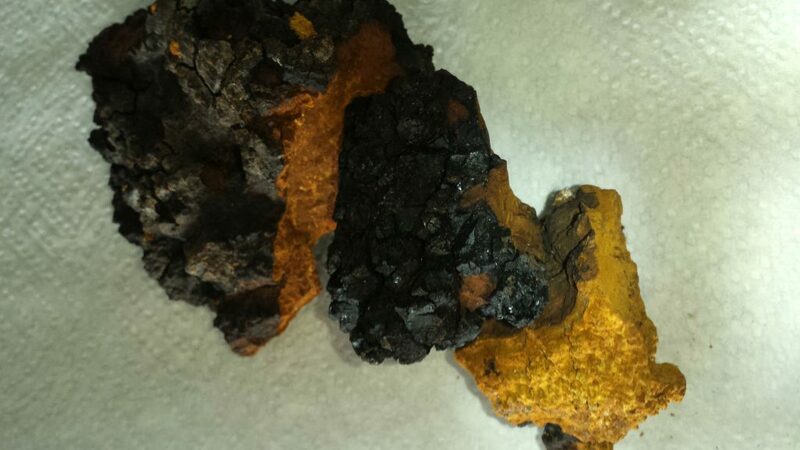 Chaga mushrooms have been at the top of my list for some time, however, up until now I have not had the pleasure of experiencing them and I do mean pleasure. I purchased this 6oz bag of Maine Organic Chaga Tea Chunks. It shipped very quickly, it was here before I could even blink my eyes. I looked in the box for the strainer that it was supposed come with but after reading the instructions it was apparent a tea strainer wasn’t required to brew the tea. I went ahead and opened the bag and to my surprise, there were these huge beautiful pieces of mushroom. 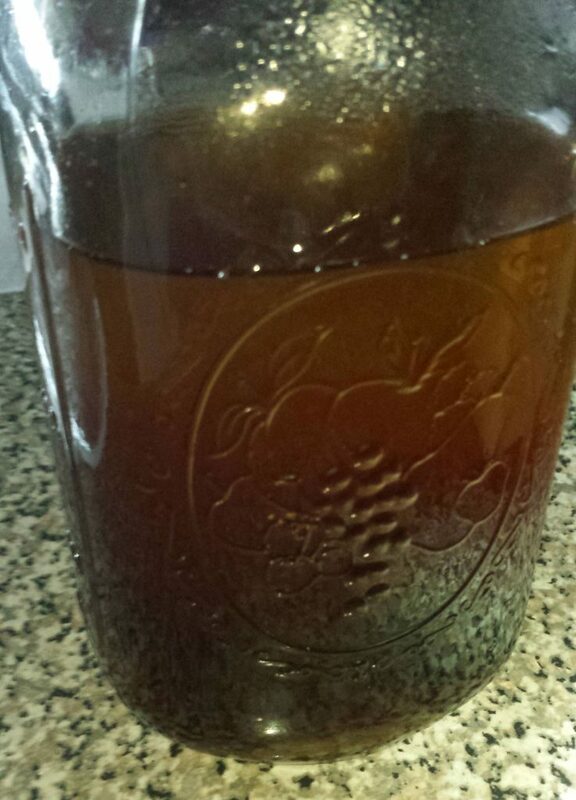 How I prepared my Chaga, I took a 1 qt mason jar and put 2 chunks of Chaga in there, they were the size of quarter and about 1/2″ thick. Once the water starting boiling I poured just a little bit on top of the Chaga and swished them around and then poured the water out. Then I filled the mason jar up, allowed it to cool and put a lid on it. Btw I did the little “pre-wash” because they are wild harvest and not processed. In the morning I poured a cup for myself and my guy, I used a strainer to catch any loose pieces. I took a sip and was PLEASANTLY surprised. The liquid was light – med brown so I was expecting bitter or something but what I got instead was a mild flavor that reminded me of a black tea that was steeped for only 1 or 2 minutes. I added a little bit of coconut milk and WOW that really kicked it up another notch. I decided to steep the same Chaga chunks again and see how much medicinal benefits I can extract because apparently, you can get up to 60 servings out of this bag. So far I’m really happy with this purchase and will definitely continue drinking Chaga. *I received this discounted product in exchange for my unbiased review. The Chaga mushroom is an ancient medicine that grows on the birch tree. The benefits are numerous but it is well known for its immune system benefits, high in antioxidants, it is also a very nutrient dense food. Please do the research as there is MUCH to learn about this plant. #RootsRUsHealthyReviews – Renu Garshana Gloves for Dry Brush Massage (Exfoliation) DIYMYCO : Stop paying too much for flavored coffee and make it yourself Make your own Butter Magnesium Oil – Fountain of Youth – Missing Link? ?